A true master of her craft is one that writes to elicit a multi-sensory experience from the very sight and sound of her words. She makes you feel, she makes you ponder, she creates suspense, excitement, and sorrow. All aimed to tug at your heartstrings, and all equally gratifying. The acclaimed multi award-winning author that holds the power to harness our emotions with her stories is Libby Gleeson AM; Australian author of over 30 books for children and young adults. I am thrilled to welcome one of our greatest national treasures and inspirational advocate for children’s literature; Libby Gleeson. Please tell us a bit about your writing journey. What have been your biggest obstacles, and greatest personal achievements? I was trained as a teacher but wanted to be a writer and so began that transformation while living and working in Italy in the nineteen seventies. I then went to London and joined a writers’ workshop which was formative in teaching me about editing my own work. Subsequently, back in Australia I read my work with other writers and that helped me to refine the work to make it publishable. Obstacles are just life and family commitments, and getting published many times is always a great achievement. Which books did you enjoy reading as a child? Any that have influenced you as a writer now? I read everything as a child and particularly loved L.M. Montgomery’s work – Anne of Green Gables, etc. You’ve been winning Literary and service awards, in Australia and internationally, for over 30 years. What do these honours mean to you? Are there any that stand out as most significant for you? All awards make you feel affirmed and so I am very grateful when successful. I know how hard the judging process is so I also know; intellectually that not winning is not necessarily a judging that the work is no good. The Bologna Ragazzi for The Great Bear is one highlight, as is the PM’s award for Red. All CBCA awards are important and make you feel pretty excited. The highlight was also receiving an AM, a Member of the Order of Australia. You’ve written over 30 books including picture books, early readers, books for older readers, non-fiction and short stories. Do you have a preference for a particular age group or genre, and why? Many of your books are touching tales with heartwarming, heartwrenching and real moments that leave a lasting impression on the reader. Which of your stories resonate most strongly with you? Nothing is a favourite but close to that sentiment are The Great Bear, Amy and Louis and in the novels, Mahtab’s Story. The novel I am Susannah is also pretty special. Your writing style is gentle, carefully crafted and compelling. Is this something that comes naturally to you, or does it require many drafts to achieve this quality of writing? It does take lots of drafts to look so natural! 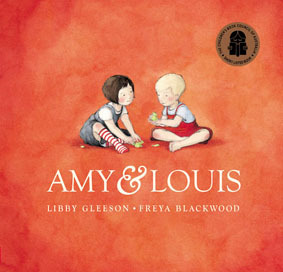 Your long-standing collaborations with illustrator, Freya Blackwood, have been hugely successful with works including ‘Amy & Louis’, ‘Clancy and Millie and the Very Fine House’, ‘Banjo and Ruby Red’, ‘The Cleo Stories’ and ‘Go To Sleep, Jessie!’. How did the pairing come about and what aspects of her style do you think best compliment your writing? I saw Two Summers by John Heffernan and Freya when I was writing Amy and Louis and I thought her gentle style and her palette would suit my story. Fortunately she agreed to illustrate it. I would always ask her to join me when the work is of small children in a domestic or playful context. 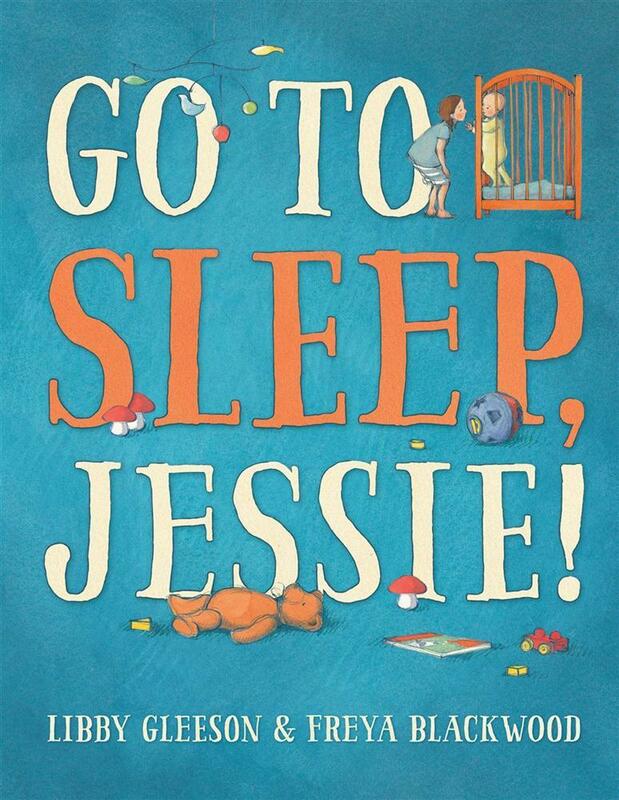 ‘Go To Sleep, Jessie!’ (see review) deals with the love and despair of a girl with her screaming baby sister. Did this story evolve as an influence from your own childhood upbringing with your siblings, or more as a mother of three daughters? This one came from mothering 3 daughters and believing little children are happy sleeping together. In ‘The Cleo Stories: The Necklace and The Present’ (see review), Cleo is a loveable girl who overcomes some tricky concepts with creativity and a positive attitude. Is Cleo based on anyone you know? How did you develop this character? ‘The Cleo Stories: Book Two’ is currently in the pipeline. Can you reveal anything about Cleo in this next chapter? Will there be more Cleo Stories in the series? I’d like to write more stories about Cleo – she’s a charming character to work with. In Book 2 Cleo is desperate for a pet and she’s also lonely when her friends aren’t around to play with. She solves each issue creatively. 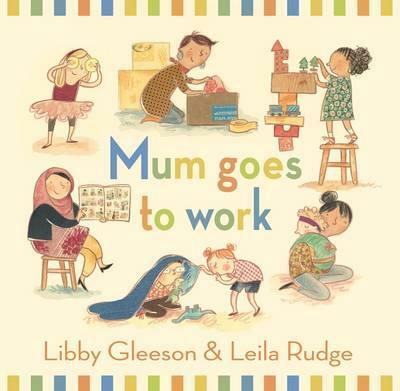 ‘Mum Goes to Work’ (illustrated by Leila Rudge, see review) is a groundbreaking and reassuring story about adapting to the realities of working parents, and how children can positively manage this lifestyle. The original version was published in 1992. Why has it been re-released? How do you feel the impact of the message will compare nowadays with what it did 23 years ago? The original version went out of print some years ago but Sarah Foster, the former publisher at Walker Books felt it should be brought back. I’m very glad she did. I think working mothers are much more of an ordinary part of life that they were back then, but I think children are very unaware of what that means in their mother’s daily life. And I think many parents aren’t really aware of what their child does during a day at childcare, although a lot more information is now provided. What brought about the inspiration to write ‘Mum Goes to Work’ all those years ago? I had kids in Child Care and discovered that the 4 year olds knew what their dads did but described their mums only as cooks, dishwashers, etc – housework. All the mums would have been workers or students because that was the only way you could get a place at the centre. So I interviewed the mothers at our centre and built the book around that. What projects are you currently working on? What can all of us ‘Libby Gleeson’ fans look forward to in the near future? ‘Cleo book 2’ will be out in 2015 and I am busy researching and writing 1918, a book set during the last year of WW1. 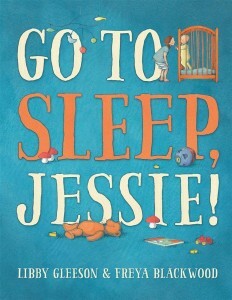 It is the final title in a series published by Scholastic. 1914 and 1915 are already in bookshops. What advice would you give to aspiring writers wanting to become successful children’s authors? Read an enormous amount. Write lots and try to find a course or a group that specialises in children’s books. Find courses at The Writers’ Centre or Community College or similar. Thank you so very much for answering my questions for Boomerang Books, Libby! It has been an absolute pleasure. 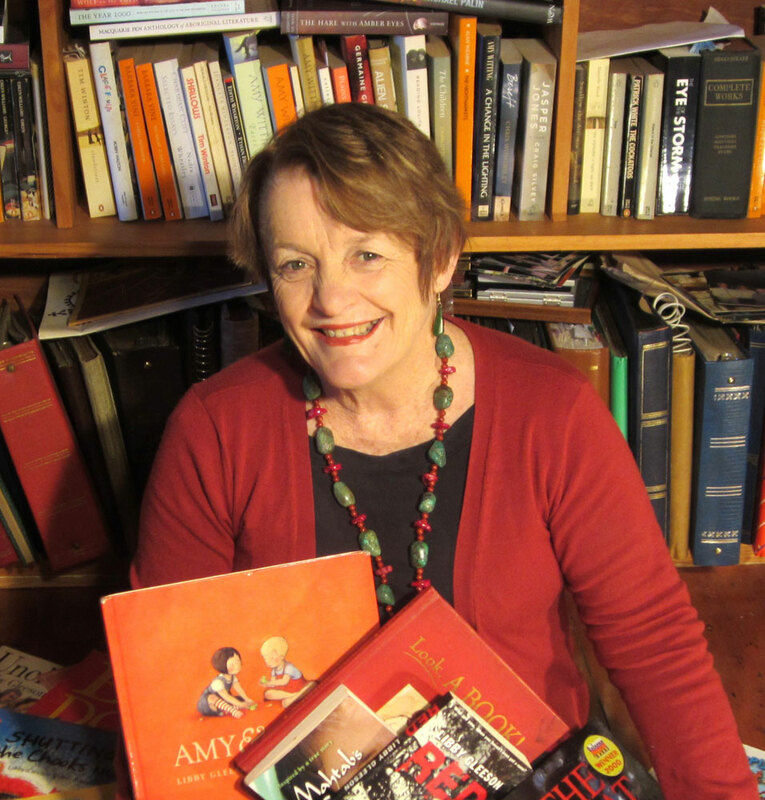 Libby Gleeson received the Lady Cutler Award in 1997, became a Member of the Order of Australia in 2007, and has won numerous awards here and overseas. Some of her picture book awards with the Children’s Book Council of Australia include ‘Banjo and Ruby Red’ (see review), ‘Shutting the Chooks In’, ‘Clancy and Millie and the Very Fine House’, and ‘Amy and Louis’, amongst others. Awards in various State Literacy Awards, Prime Minister’s Literary Award (‘Red’ won in 2013), and the international Bologna Ragazzi Award (‘The Great Bear’ won in 2000) are also prestigious prizes that she has achieved.